December is finally here, and hopefully you have met your deadlines and been able to relax over the holiday period! There has been a range of festivities to enjoy in Plymouth, and here are just a few of the festive activities I have been getting up to over the last few weeks. First up was the Christmas lights switch on in the city centre. This evening was incredibly busy, with huge crowds of people waiting to see the lights turn on. The impressive decorations spanned far and wide in each direction, and an appearance from Santa himself (the real one!) contributed to the most christmassy-feeling evening of the year, with individuals, families and students all gathering together as a community to celebrate. This welcoming event does a great job of making you feel part of Plymouth. Shortly after the big Christmas light switch on in the city centre, the Coca Cola truck visited the city! This immensely popular event drew even more people in to the centre to explore some of the festive stalls on Armada Way, as they took the chance to grab a free Coke and to queue up for photo opportunities! This was also a lot of fun, and another great example of people coming together to celebrate the holidays. Later in December, I had a look around the traditional Christmas market, which has a large selection of stalls with food, crafts, and more. This was a great way to get in the christmassy mood and it takes place every year in Plymouth. The stalls are worth a look and they are nice to see during the busy periods of Christmas shopping throughout December (which I have thankfully finished now, donâ€™t leave it to the last minute as the shops get manic). This time of year is also a great opportunity to head back home to see your friends and family, whilst making the most of the break from lectures. 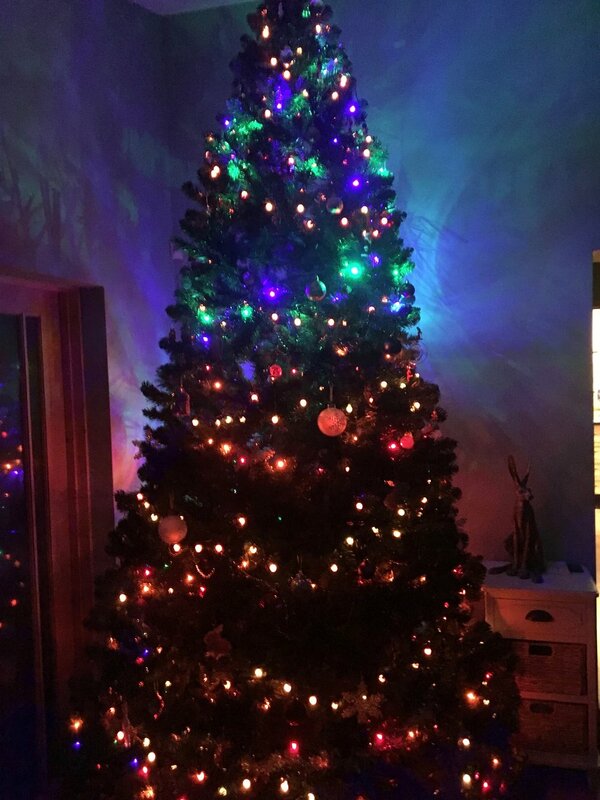 As much as I try to decorate my flat, it never comes close to my parentsâ€™ impressive tree, as you can see in the picture, check out those colour changing lights! If youâ€™ve been feeling homesick, Christmas is the perfect cure. Let this break re-energise you, so you can go back to university raring with enthusiasm, and ready to tackle the rest of your work. Iâ€™ve been catching up with friends from home, chilling with the family, and most importantly eating all my parentsâ€™ food. Have a wonderful holiday everyone, Iâ€™ll see you next year for more blog posts!